Electrology is the practice of using electricity to remove unwanted hairs. With electrology there are two methods that are mainly used: galvanic and thermolysis. The galvanic method of electrology should not be used during pregnancy. This treatment involves passing electricity through the body and back to the initiating probe. The fetus is swimming in a pool of water and water if a powerful conductor of electricity. While there are no definitive trials regarding pregnant women and galvanic electrology, it is often best to choose a different form of hair removal while pregnant. Thermolysis includes diatherapy, high frequency, short wave, alternating current and radio wave treatments. These treatments are not passed through the body and are thus considered safe during pregnancy. Each obstetrician will have different views on electrology during pregnancy and some electrolysis experts will require permission from the attending physician before completing treatment. Pregnancy hormones can increase hair growth on the head and other skin covered surfaces. This extra hair growth can leave the pregnant woman shaving, plucking and waxing on a daily basis. 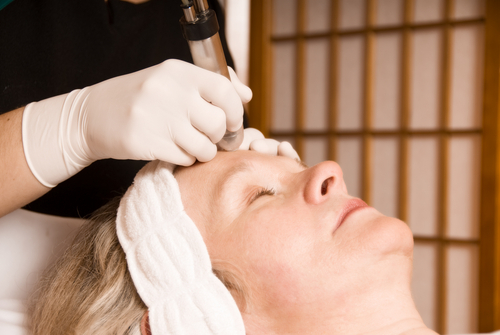 Electrology can be used to remove the excess hair but the process could be long and expensive. Most extra hair will fall out after pregnancy hormones return to normal levels. There is no rush when scheduling electrology appointments due to the length of time needed for complete hair removal. In most cases it can take one to two years of treatments to remove all hair in a given area. While this period will differ based on each client’s needs and the area where hair will be removed, it rarely takes less than six months to remove all hair from even the smallest areas. Before choosing an electrology expert, make sure the clinic, salon or office is certified in electrology with all proper training and equipment. Equipment should be sterilized between patients to reduce the risk of infection.